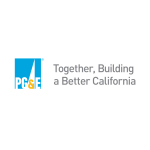 award on behalf of PG&E. people with disabilities and veterans. LGBT business builder event, which was co-sponsored by the U.S.
commitment to equality in the workplace and the communities it serves. contingent in the parade in 1988.